This is another massive salad made for a family meal with my Mum, Dad, brother & sister. This enormous salad bowl (approx 50cm diameter) was a Christmas present from my brother – meant to put all salad ingredients in, then toss & put in a more suitable bowl for the table but of course, this bowl has already ended up on the table almost every night since Christmas! INGREDIENTS – feel free to make up your own proportions, this is just an ingredient combination which worked well. 2. Throw sweet potato on an oven tray & drizzle w olive oil then set the timer for 45 minutes. 6. throw all ingredients in a big salad bowl, top w haloumi & sprinkle over the mint & parsley. Serve immediately! 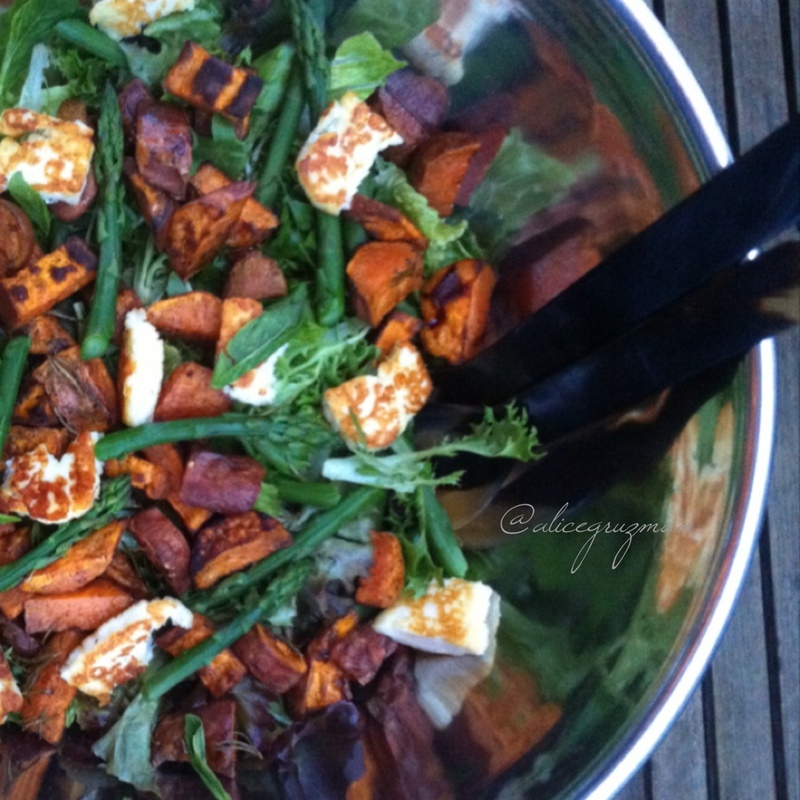 This entry was posted in Uncategorized and tagged asparagus, familymeals, glutenfree, greenbeans, haloumi, iqs, mint, parsley, refinedsugarfree, salad, summer, sweetpotato, vegetarian by 6 Clean Ingredients. Bookmark the permalink.